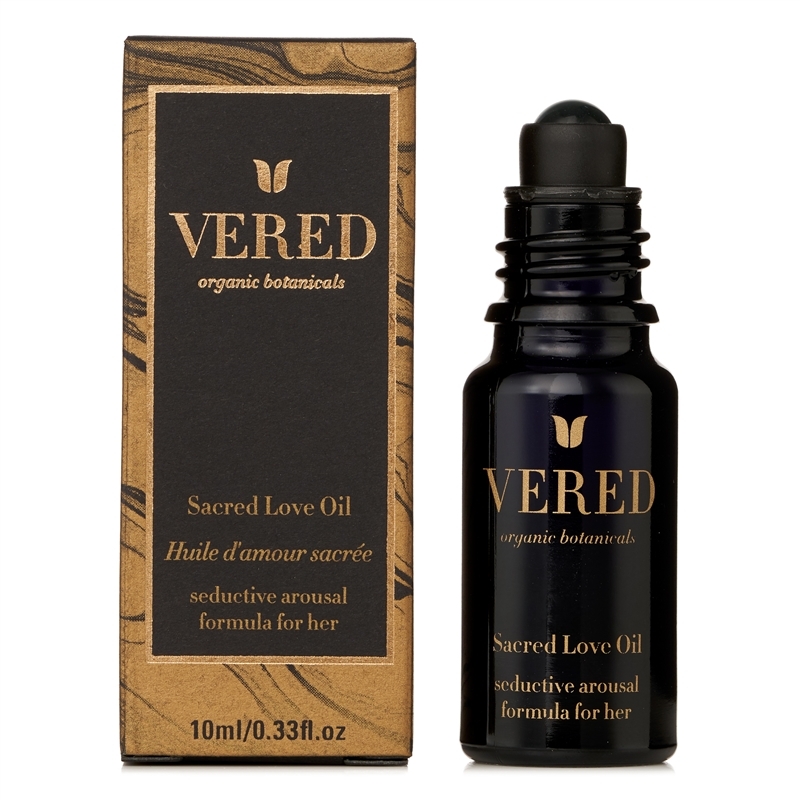 Sacred Love Oil is an organic, vegan, non-toxic aphrodisiac oil designed to increase blood flow, enhance nerve communication, and stimulate the libido. Containing a unique and powerful combination of plant oils, herbs and essential oils chosen specifically for their warming and sensual benefits. *this oil may also be worn as a seductive perfume. 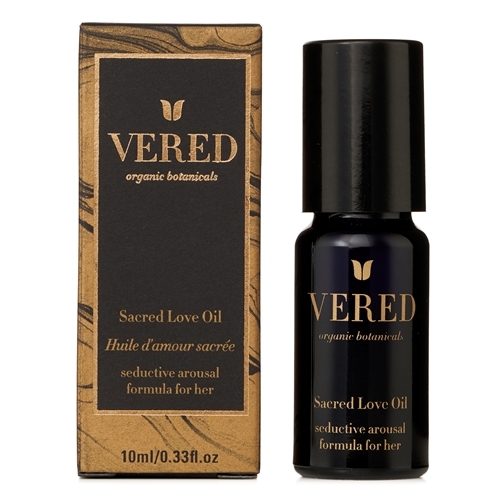 Begin by deeply inhaling your Sacred Love Oil. The aromatherapy aspects will stimulate your limbic system immediately. Start by applying under your collar bone, move to inner thighs and gently roll your way up. Note: not intended for internal use.